This article is 502 days old. 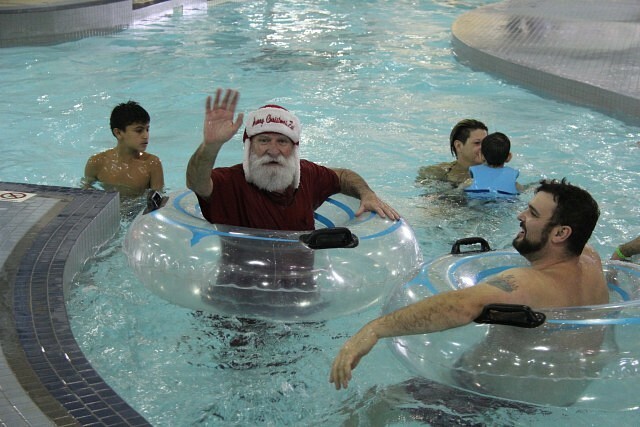 Santa and friends return to Adventure Bay Family Water Park this Saturday for the 4th Annual Swim with Santa. Once again, Santa will be entertaining and posing for pictures with kids in the lobby of Adventure Bay from 10am to 1pm then splashing his way into the water park from 1pm to 2pm. The celebration of the holiday season at Adventure Bay lasts all day, and the party continues after Santa moves on to his next stop with lots of holiday spirit to be shared until the park closes at 8pm.